It's like a movie poster, novel cover and billboard in one, but it's fast becoming science fictions biggest fact that if you want to catch attention, you have Francesco provide a cover or two. DEAD BODY ROAD #6 (of 6) There's a man digging a hole in the desert. Let's see just how many bodies will fit. Orson Gage's bloody revenge saga ends here.. (W) Justin Jordan (A) Matteo Scalera and Moreno Dinisio. SAGA #19 SAGA returns! 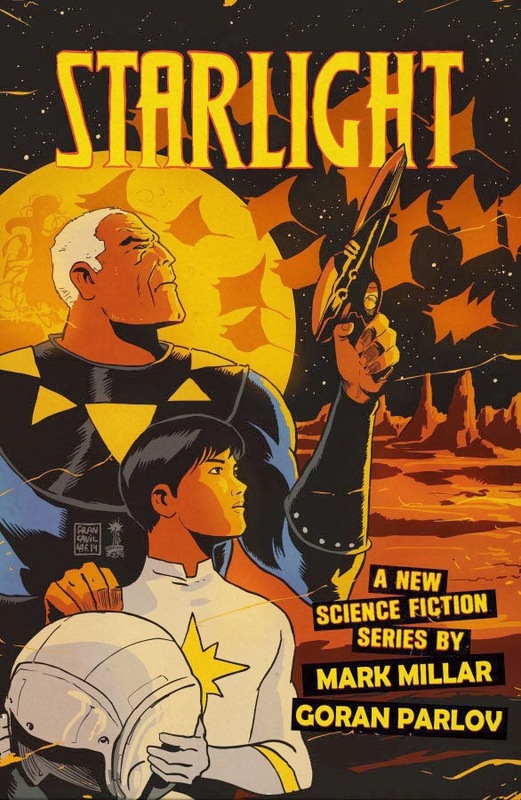 New planet, new adversaries, and a very new direction, all from the same old Hugo Award-winning team. (W) Brian K Vaughan (A) Fiona Staples. WITCHBLADE #175 DOUBLE-SIZED ANNIVERSARY ISSUE! Starting a new storyline, the team of writer Ron Marz and artist Laura Braga continue their acclaimed run, providing an entry point for new readers, as well as a celebration of all that's gone before. 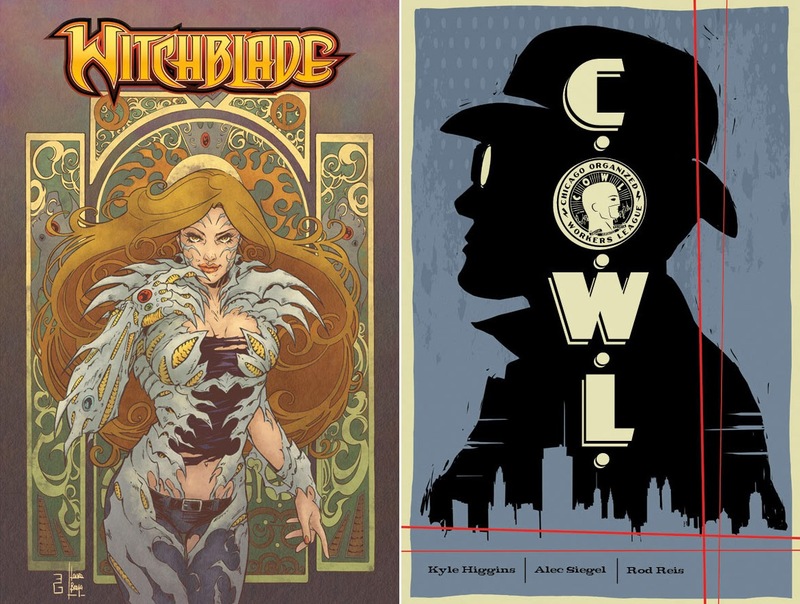 Also features a second story, revealing a previously untold tale of the Witchblade in feudal Japan, as well as other bonus features - and a Michael Turner variant cover! 48pages. What do you think? For the full list of Image Comics May 2014 solicitations, click the jump.